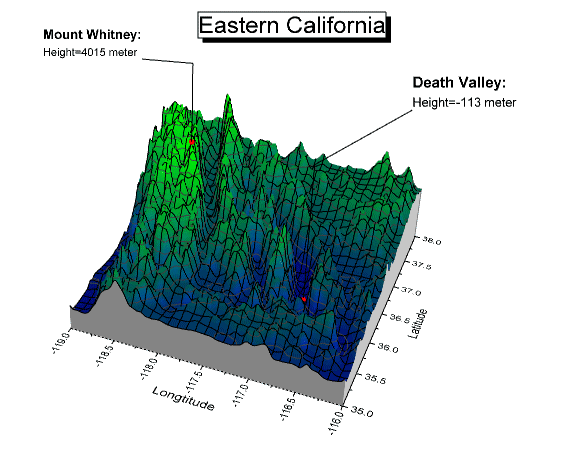 This graph shows the topology of eastern California as a 3D colormap surface with labelling of select data points. The plot is overlaid with 3D scatters to highlight two special locations in the terrain. To know how to plot this graph, please download the above project file (in the Zip file). There is a Note window to show the detail steps for plotting this graph..